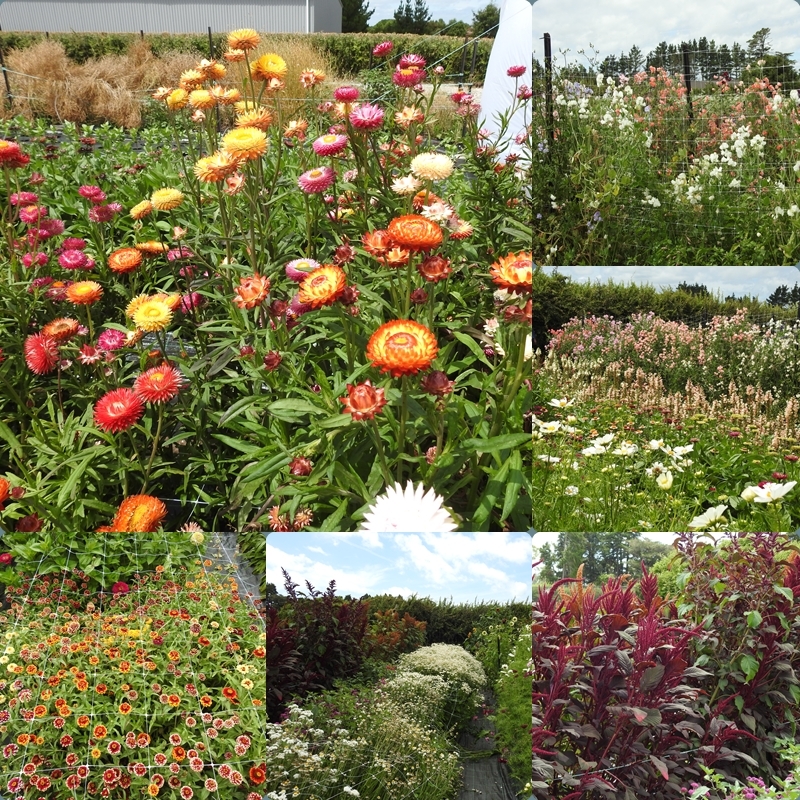 Over the weekend, Hubby took me to a local flower farm! Oh, what fun that would have been! lovely! Looks like the summer is going well for the flower farm. Wow, so lush! Delightful to see. What a great place to visit. 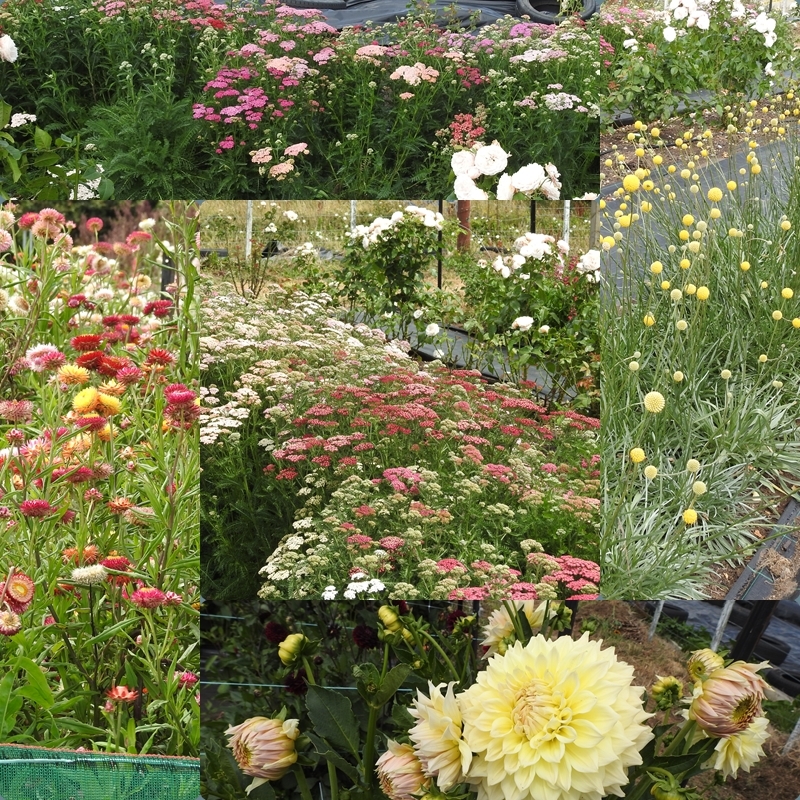 There's a flower-farm near me which I see when I pass on the train, but it does not open its gates to the public. Hello, Gorgeous flowers. I love them all. Happy Monday, enjoy your day and have a great new week ahead. A flower farm...how lovely! Some of those look like the ones you can dry (I call them straw flowers). Hugs! Beautiful! Can you pic those eternelles that dry beautifully? So many beautiful flowers, a joy to see. Betty - as I sit looking out at the snowy, cold day, I am mesmerized by your flower collages! I can ALMOST feel the warmth of the sun on my skin and smell the fragrance of all these beautiful flowers … I appreciate this special bouquet for Mosaic Monday!!! Dear Betty, it is a pleasure to see the sea of ​​flowers. It is still cold and gray here. I can not wait for spring to come. 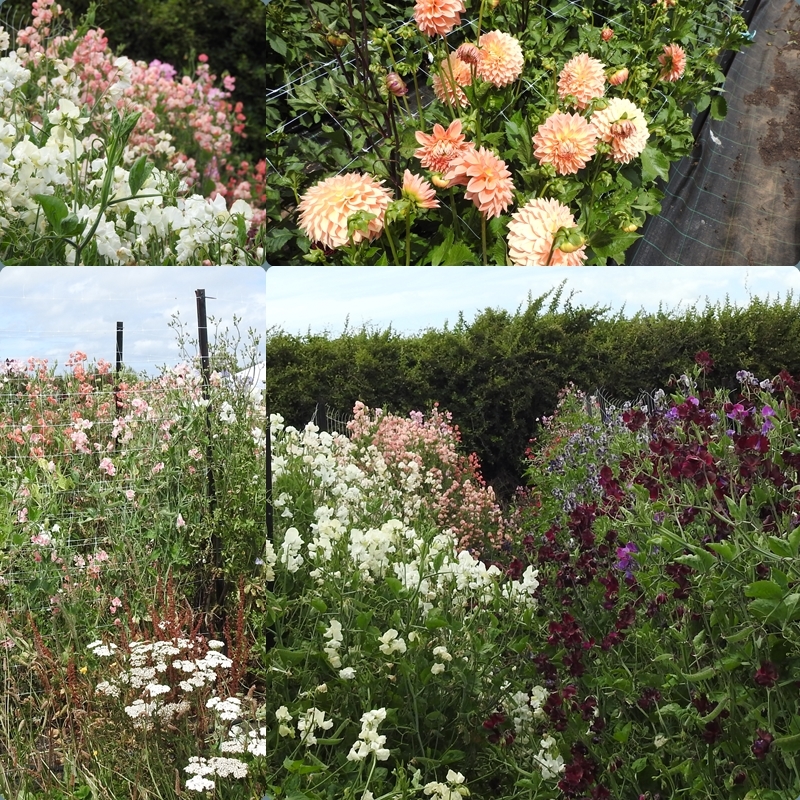 It's lovely to visit a flower farm, and it's even lovelier to see these beautiful flowers when it's cold and dreary outside in the northern hemisphere. These are such lovely flowers. I love the yellow colors, especially. It's nice to see a touch of color during our winter here!